Our Famous Rescue Roundup Raffle! WOO HOO! What a raffle this is! We have dozens of spectacular baskets and items up for raffle the day of the Rescue Roundup. Thanks to the generous support of local businesses, state organizations and dog related companies - we have top notch raffle baskets for everyone! These baskets are handmade and stuffed to the brim by our wonderful volunteers from W.L. Gore & Associates. This is really a community effort and all proceeds go directly to support rescue. We have two tours for four people each to be auctioned off at the Rescue Roundup! AZ Segway and Pedal Tours offer fun, comprehensive bike and Segway tours of downtown Flagstaff and high-quality bike rentals for exploring the surrounding area. Our mission is to share our fun, beautiful, thriving downtown with guests who want to make the most of their visit and find the best things to do in Flagstaff. We offer a variety of different adventures, including our haunted ghost tour and craft beer bike tour, so you can discover the side of Arizona that you enjoy the most. No matter if you are passing through or have been visiting Flagstaff for years, our tours have something for everyone! This is definitely the best thing to do in Flagstaff! Created by one of our very talented volunteers, Denise. This is a one of a kind piece of fused glass that was made especially for the Rescue Roundup. Looking for quality authentic Native American Artwork? Thunder Eagle is one of the largest certified all Native Jewelry & Art stores in AZ. We sell quality jewelry in sterling silver and gold from Southwest Native Indians. Modeled by my handsome foster Sam, This beautiful handmade quilt will be up for silent auction. It is full size and all cotton material. Wow! Win a Bissell SpotBot Pet Portable Carpet Cleaner! We'll Be Holding a Special Raffle For This! Norman O'Donnell wanted something better for his dogs but found that pet shops didn't sell such products. 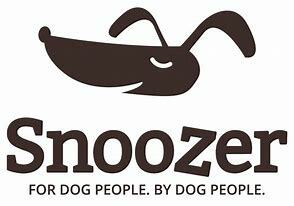 So, in 1985, he established O'Donnell Industries to manufacture Snoozer Pet Products. Today, O'Donnell offers customers a profusion of quality pet products. Because today's pets are considered "part of the family," Snoozer Pet Products are designed to blend easily with almost any home decor. The company's indoor products are crafted from upholstery-grade fabrics available in a multitude of colors and patterns that will keep your animals stylishly warm and comfy. Today, O'Donnell offers customers a profusion of quality pet products. Because today's pets are considered "part of the family," Snoozer Pet Products are designed to blend easily with almost any home decor. The company's indoor products are crafted from upholstery-grade fabrics available in a multitude of colors and patterns that will keep your animals stylishly warm and comfy. Pay attention! This is an amazing company that helps an incredible amount of rescues every month. This is a local Arizona company that is making a difference in the rescue world. Please help them help rescue by supporting this company. Because we donate a product for every product purchased, dog lovers can now donate to a rescues simply by shopping for their own pet. The dog owner does not need to do anything additional to support a rescue. They simply purchase products as they normally would. 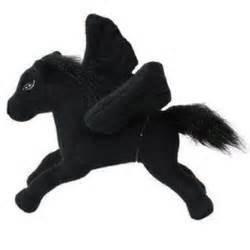 This relieves them of spending additional money and there is no additional burden placed upon them. If they so wish, they can donate additional money directly to the rescue. At the end of every month, we tally up our total products sold. Based on that number, we decide on how many rescues we can donate to for that month. We normally donate about 30 items per box, so if we sell 9,000 total units in a given month, we know that we can send out about 300 donations for that month. 2)$50.00 Gift Certificates to Oak Creek Brewing Co. In 2001 Fred Kraus, our brewmaster, decided to combine his well established brewing skills with his partners food industry skills, to open Sedona's only brew pub in the beautiful Arts and Crafts Village of Talaquepaque. Here he and Jim Strelau, Head Brewer, work to brew our premium beers such as Forty-Niner Gold Lager and Horseshoe Hefeweizen right here in the Grill. These magnificent beers are stored in the burnished copper serving tanks behind our shining oak bar. Our display kitchen permits you to see the rotisserie and wood fired oven used to prepare your servings as well as the house specialties, 'Rotisserie Chicken and Pork Ribs', and 'Fire Kissed Pizzas'. Our beer and food are offered to you in a scenic setting intended to make your dining and drinking experience fun with just a dash of old world charm thrown in for good measure. In the summer of 1994, my wife Traci rescued our white lab Winston, who was diagnosed with arthritis and hip dysplasia. Several veterinarians recommended putting him down, but this was never an option for us. We began researching alternative medicine while working with Dr. Pedro Rivera, a renowned holistic veterinarian. After several months, we developed a natural joint formula that gave Winston a second chance at life. Winston went on to enjoy ten long years of playing and swimming with his brothers. We soon found others who wanted only the best for their pets as well - NaturVet natural pet supplements were born. Two chances to get these awesome signs by Pallets by Paige! She is part of our rescue community and can be found on Etsy with many more products. Thank you once again to the Verde Canyon Railroad! The casual grace of train travel never goes out of style. From the moment you step aboard the fully-restored vintage train, you are whisked back to a time of luxurious and leisurely train travel. This four-hour excursion takes you on a 20-mile journey through 100 years of history. Over 25 years ago. We set out to develop a healthy, natural, low calorie dog treat that would be so delicious that dogs would respond over and over and would be great for training and rewarding dogs of all sizes and ages. Charlee Bear was a pioneer in the natural dog treat market. In response to our devoted customers’ requests, we developed a low-calorie grain-free dog treat with the same love and care that we used to develop our original Charlee Bear Dog Treats.We created three great Bear Crunch flavors using real turkey, chicken, pork and berries, fruits and veggies. We use chick pea flour, an excellent source of protein. We stuck to simple natural ingredients that are low in calories and high in flavor. Trainers and doggie parents are telling us dogs love these treats. Our new process has created a "special LIGHT crunch". Our Grain Free treats are also "Pocket Perfect®" Keep some in your pocket for fun on a walk or outing. Charlee Bear is making new treats but we are keeping our old promises. Our treats are made in the USA from natural, USA ingredients. We use a little Palm Oil and a dash of Cinnamon from tropical Southeast Asian Islands for added flavor and aroma. With breath-taking scenery and beautiful views from our rooftop cantina, Oaxaca has earned it's title Local Secret/Big Find by Travelocity.com. This old world style Mexican restaurant, located in Uptown Sedona, offers casual family dining with an extensive menu, Traditional and Modern Mexican flavors, with a taste for everyone. What a great place!! Full of all sorts of souvenirs (and memories) and staffed by the friendliest ladies!! 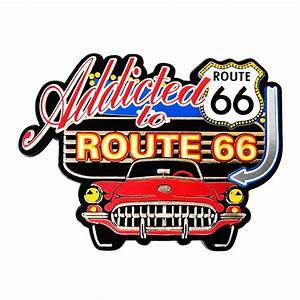 Got my Route 66 T-shirt and other souvenirs from here! $30.00 Gift Certificate to Lumberyard Brewing Co.
After many months of planning, construction, and rehabilitaion we are proud to open our doors. We are located just south of the tracks on San Francisco Street (across from the train station). The building was constructed in 1890 by Flagstaff Lumber Company. JD Hadstead Lumber Company added to the original building in 1926. The original 1890 structure is the last remaining building from Flagstaff's Lumber Era (1887 - 1993, when Southwest Forest Industries closed its doors). The building was used as a lumberyard in the Northern Arizona region until the mid 1990's, the last operating owner was Copeland Lumber. The Lumberyard building is part of the Historic Railroad District in Flagstaff, Arizona. Four Tickets to See the Diamondbacks!!! Four Baseline Reserve tickets to see the Diamondbacks! This ticket voucher is good for any regular season home game Mondays through Fridays until September 2018. 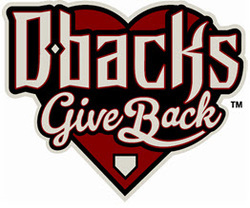 Just bring the voucher to the Diamondbacks Ticket Office to redeem for tickets! GO D BACKS! 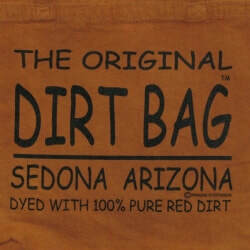 Welcome to Olde Sedona. Where would you like to have dinner tonight? On the upstairs patio overlooking the red rocks, in the courtyard in the shade of our giant Cottonwood trees, or in our quiet and pleasant dining room? We have a pet friendly patio too! A great basket of rawhide free treats for your dog! The motto at Scott Pet has always been “Helping Pets Lead Quality Lives.” We pride ourselves in our understanding of dogs, their needs, and what is best for their health and overall happiness. Our goal is for the pet experience to be an enjoyable and positive one, by providing products that are designed and manufactured with quality and practicality in mind. For over 38 years, we’ve been devoted to helping dogs lead quality lives by providing a full range of high-quality products that fit their needs. Over the past fifty years dogs have come from “the backyard to the bedroom”. Dogs are now considered to be family, not just pets, and people feel they are “pet parents”, not just “pet owners”. We like to think that we have known that all along. Wow! 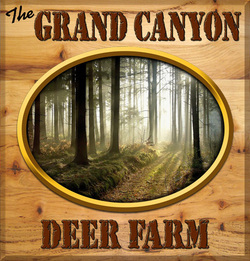 What a great place to stop by and shop in Sedona. So many flavors of olive oils and vinegars plus so many different gift items available. We have a sampler package, a picnic backpack and coasters from Sedona Divine. When you buy 10 bottles--all at once or over time-- either oils and/or balsamics, the 11th bottle (anything that is $19.99 or less) will be free. You are responsible for postage if ordering the 11th bottle by itself. All you have to do is remember your phone number when you check out and your bottles are tallied automatically. If ordering on line, just check the proper box on the Order form. We serve traditional Italian food with a modern twist. Lunch and dinner menus include our delicious take on Osso Bucco, Fiorentina steak, Arancini De Riso, fresh hand-stuffed Lobster Ravioli, and our scratch-made Lasagna. Our menu also has some twists on classic dishes like our Hatch Chile Smoked Gouda Mac N Cheese made with a creamy smoked gouda cheese sauce and earthy hatch chiles for a bold and uniquely southwest flavor. 103 N LEROUX ST.
Great gift basket with lots of goodies from Hill's and a free wellness exam from Continental Wellness Center. Located in downtown Sedona, Little Tibet offers jewelry, literature, clothing, handicrafts and gift accessories to soothe your mind and spirit. 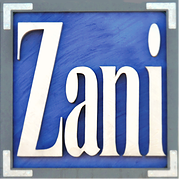 In beautiful & historic Downtown Flagstaff Arizona, Zani Cards & Gifts offers an ever changing selection of handmade gifts by local Flagstaff artists as well as makers throughout the USA & the world. Our priority here at Northern Pines is to provide a high quality experience, period. As a locally owned restaurant, we consider it our responsibility to promote an authentic experience specific to the Flagstaff area. Our menu is composed of high quality, mouth-watering meals that are reasonably priced. Or, if you’re not hungry, come enjoy our modern, yet cozy, lounge area. Of our fifteen beers on tap, over half are brewed right here in Arizona. We proudly serve steaks cut and aged by Randall’s Fine Meats, and we include only the most delicious, pure ingredients, including real butter and Satchmo’s seasonings. We’re certain you’ll also love our sophisticated, family-friendly atmosphere, complete with local artwork and furnishings, all of which truly complete an ambiance reflective of Flagstaff’s unique character. Cheers is a family owned and operated business opened in 1986 in Sedona, Arizona. ,As your neighborhood Williams pizzeria, we want to say: thank you. We're proud to serve you delicious calzones, ooey gooey pasta, and of course, piping–hot pizzas. Since we made our first pie, we've used only the freshest ingredients around. 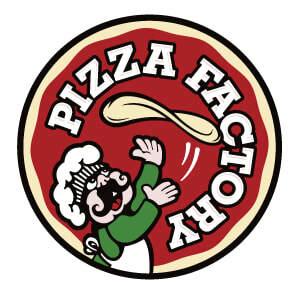 But we wouldn't be Pizza Factory without hungry customers like you. So sit down, grab a slice (or two, or three), and dig in. That secret ingredient? It's love..and of course, piping–hot pizzas. Viola's Flower Garden was established in May of 2001 by Robyn, Art and Shaniqua (our dog) with the help of many of our dear family and friends. Yes, there is a Viola. The store is named after Robyn's grandmother who loved to garden. Although you won't see Viola at the store you will see her granddaughter working on most days.Our first location on Fourth Street next to Price Choppers was a mere 4000 square feet, it was in the old Kmart Garden Center. In 2002 we expanded a little, and by 2003 we had more than doubled our size as we spilled into the parking lot. With the continued support of family, friends, wonderful employees, and of course our continued patronage of our regular customers, we took a huge leap and moved our location to Route 66, in the winter of 2006 . Our Route 66 location is at least twice the size and more visible from the road. Although physically we are not the same small company, from the owners, to the employees even to our beloved dog Shaniqua we are still that small company at heart. Thanks to all of our customers throughout the years, we enjoy you friendship and patronage. Today we feel like we have finally settled into what we had envisioned our company to be, we are excited for what the future brings. Viola's has now moved to a new location and includes a wedding venue too! A dine in Mexican food restaurant featuring family recipes from Northern Arizona. We also feature a full bar with over 20 tequilas and draft beer on tap. House specialties include steaks, shrimp tacos, menudo, and typical Mexican fare such as enchiladas, burritos, fajitas, chile rellenos, chorizo, and both green and red chile. We begin your dining experience with warm chips and our delicious jalapeno-avocado salsa. Margaritas are freshly made to order to your liking by our skilled bartenders. Happy hour is Monday through Friday from 4:00 to 7:00 and features $2.00 house margaritas and $3.00 domestic draft beers. We also serve great American food such as chicken-fried steak, liver and onions, and sandwiches and burgers. Dogvergnügen – The unique joy you feel in the presence of Dog. Wow! A gift certificate for a pound of handmade chocolates! ​Flagstaff Chocolate Company is located in the heart of historic downtown Flagstaff, where the vendors ply a variety of different chocolates, candies and sweets. All of the products are made with the finest ingredients and some of the cool ones include the Mocha Peak and Chocolate Caramel Peak truffles, both are apropos considering the mountainous locale. In addition to chocolate, the shop also has gummi-bears, licorice, hard candy and sugar-free treats. Two eggs, hashbrowns and toast for only $5.99! Breakfast served ALL DAY every day! Great hamburgers and hand dipped milk shakes! A Big THANK YOU to Blue Dog Bakery for helping us again this year - they have donated to the Rescue Roundup for twelve straight years! We LOVE Blue Dog Bakery....and so do the dogs! Since 1998, Blue Dog Bakery has been dedicated to making healthy all-natural treats for dogs. Our first natural, low-fat treats we created because we wanted a healthy snack for our own dogs. Its wasn’t long before our treats caught on and people were asking where they could buy them. As we’ve grown, we’ve remained devoted to our initial goal to make healthy, natural treats for dogs. We know that a long and happy life goes paw-in-paw with good nutrition, which we always keep in mind when creating new treats. We only use the highest quality bakery ingredients such as whole eggs, nonfat milk and whole wheat - making them easily digestible, full of fiber and protein and good for an overall balanced diet. Always made responsibly in the USA. The Fiesta Mexican Grill started on Route 66 in downtown Williams in June of 2015. The City of Williams is nestled in the tall pines of the Kaibab National Forest about two hours drive to the Grand Canyon.We were proud to become a member of the community and pleased that the community welcomed us so graciously.We are happy to welcome visitors from our fair City and from around the world. 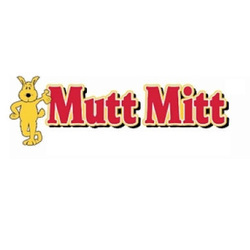 We'll Be using Mutt Mitts to Keep our Event Clean! Check out why Mutt Mitts are the BEST! Market Bar & Kitchen is an American gastropub located in downtown Flagstaff on Heritage Square, open daily at 9 a.m. We pride ourselves on serving high quality food for breakfast, lunch, and dinner, all made in-house. For our plant-based diet, vegetarian, vegan, and gluten free customers, we offer several choices including the locally-produced plant-based protein mentioned above, tofu, soyrizo, vegetarian black bean “burger”, vegan cheese, gluten free breads, and gluten free pancakes. All eggs are cage-free. Market also has a cafe/lounge area that serves coffee & espresso drinks, plus a full bar and nightlife after 11 p.m. We look forward to serving you! NUPRO is made with fresh quality health food ingredients that are human-grade, not animal-grade. Contains a full range of vitamins, minerals, enzymes, amino acids, and essential fatty acids in their natural raw forms. New Hope Cattle Dogs, and D&M Reptile Rescue and Rehabilitation – pets on leashes are welcome at all Bookmans locations. As a longtime supporter of The Humane Society of Southern Arizona, we are a sponsor of Puttin’ on the Dog, a celebrity fashion show fundraiser, and we donate merchandise for the Books and More Entertainment Sale. Both events raise thousands of dollars each year for HSSA. Additionally, we participate in the Coupons of Compassion program, which benefits the Education and Cruelty Prevention Department. Arizona Handmade Gallery has been showing the work of select Arizona artists since the Spring of 2000. Located in Historic Downtown Flagstaff, the gallery has been home to some of the area's best artists over the years. The vision of the gallery has always been to carry art ranging from "fine" to "functional" giving every customer a chance to find something appealing to them. The gallery represents artists of all different media - from glass work to jewelry to paintings to fiber art to mixed media pieces. You'll love the variety you find here! Owners George Averbeck and Holly Gramm are both long time artists - and husband and wife! They combined Arizona Handmade Gallery with Fire on the Mountain, turning it into both a showroom for George's blown glass creations as well as an outlet for local artists to display and sell their work. George and Holly can often be found at Fire on the Mountain Studio blowing glass or out and about in the community. If you'd like to meet with them, please call to set up an appointment.